What Size Vanity Mirror Should You Buy? The vanity mirror is an important design element during a redesign or renovation of your bathroom. Aside from your shower, the vanity will be the feature piece in your bathroom, so making the right decision is crucial. However, it can be difficult finding a mirror that is the right style and size for your bathroom. 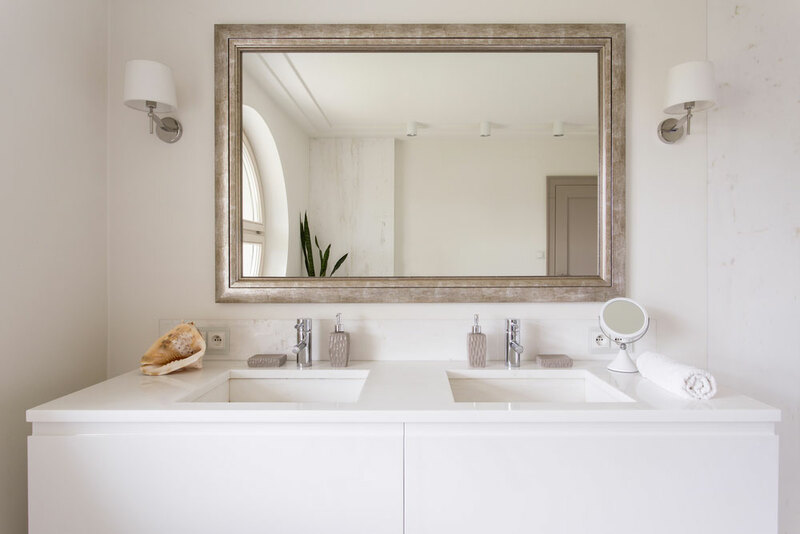 In today’s blog post, Ryan’s all-glass takes a look at how to choose the perfect vanity mirror size for your bathroom. The size of your vanity mirror will come down to whether or not you will be looking for a custom mirror or a traditional mirror. If you are looking for a customized mirror, sizing will be much easier. You will just need to decide what style you are looking for and how much room you have and go from there. However, if you aren’t looking for a custom-sized mirror, you’ll have to look at the traditional sizes. The most common vanity mirrors will have widths of 20-25 inches. Anything under 20 inches is fairly uncommon and typically used as shower or wall mirrors. While 20-25 inch mirrors are the most common, 25-35 inch vanity mirrors are a great choice as well. The sizing of your vanity mirrors will depend primarily on this question. If you just have one person regularly occupying your bathroom, there is no real need for double vanities. However, if you have a spouse or significant other sharing your bathroom, the decision becomes more complicated. Going with a single mirror will mean you’ll need a larger mirror, such as a wall-to-wall mirror. If you decide to go with double vanity mirrors, you can choose smaller sizes with more custom design features. Style will also play a big factor in your sizing decision. One of the biggest design decisions you’ll make is one we have already talked about. Do you want single or double mirrors? If you go with double, you’ll have more flexibility stylistically. You will have other factors to consider as well, such as framed or frameless mirrors, mounting options, and mirror shapes. If you are renovating your bathroom and looking for vanity mirrors, Ryan’s all-glass can help. For more information on our offerings, give us a call at (513) 771-4440 or contact us online today. Shower doors serve a very practical purpose for your bathroom, but they can be a valuable design element as well. Whether you are building a new home or simply renovating your bathroom, finding the right shower door can make a huge difference in the overall style of the space. In today’s blog post, Ryan’s all-glass will take a look at a few design tips for your shower doors as well as trends that dominate this area. The most common mistake with shower doors, especially when it comes to the design of your bathroom, is picking a door that doesn’t go with the overall style of the bathroom. A sleek, frameless shower enclosure is a fantastic aesthetic element for your bathroom. But if the overall look of your bathroom or home is more Victorian or vintage, a frameless shower door will conflict with that overall design. The important thing to do when picking out features like vanities or shower doors is to find pieces that are must-haves and design your bathroom around those. For instance, if you absolutely must-have a sleek, frameless shower, you need to design your bathroom around that. If you are redesigning or renovating your bathroom, you should absolutely consider a frameless shower enclosure. They are on the cutting edge of design and are much easier to clean than regular shower doors. There isn’t a single design element that will be more beneficial to your bathroom design than a beautiful frameless shower enclosure. Much like a vanity, a frameless shower enclosure will be the centerpiece and set the tone of your bathroom. Shower doors are one of the few things that people will elect to install themselves, so it’s important to take extra precautions with your measurements if you won’t have any professional help. The most common mistake made is not measuring correctly or failing to account for wall angles. If you have a full shower enclosure with walls, you must design a curb that allows your door to swing freely. If the angle of the door and the wall is not 90 degrees, it will be restricted. If you are looking for your next shower door, Ryan’s all-glass can provide the perfect solution. For more information on what we offer, give us a call at (513) 771-4440 or contact us online today. If you own a business, your workspace is one of the most important parts of your day-to-day operation. Style and functionality are important, regardless of the kind of business you are running. If you have a business where your customers are regularly inside your workspace, it becomes even more important. Custom glass handrails are a great way to make the right impression. In today’s blog post, Ryan’s All-Glass will look at some ways that glass handrails can impact your business. The most important aspect of custom glass handrails is customization, because no project is a cookie cutter project. You may have unique specifications for your home or workspace that have to be met for a custom glass handrail to be useful at your business. At Ryan’s All-Glass, our custom glass options allow our customers to create the perfect design to match their business needs. While custom glass handrails are there to make an impression on clients, they are also there to serve a very practical purpose. The handrails offered at Ryan’s All-Glass are some of the highest quality handrails on the market, both when it comes to durability and safety. If you are looking for a safe and beautiful addition to the stairway in your workspace, few things are a better solution than a custom glass handrail. If you are looking for a way to make an impression on your clients, a glass handrail could be the perfect solution. 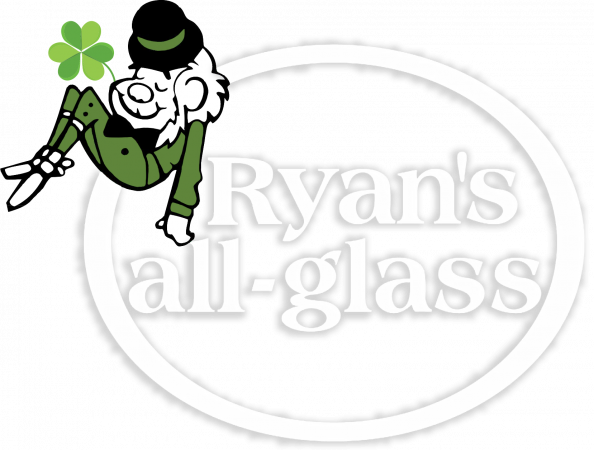 For more information on the offerings at Ryan’s All-Glass, give us a call at (513) 771-4440 or contact us online today. In today’s modern era, the importance of energy efficiency continues to grow. While we often see this in the corporate or commercial world, there is a growing emphasis on making homes more energy efficient as well. If you are building a home or renovating your current home, energy-efficient glass can be a great way to save the environment and save you money. In today’s blog post, Ryan’s All-Glass will take a look at what energy-efficient glass is and why it is beneficial. When you hear the term “energy efficient”, most people think about environmental friendliness. While that is certainly true of energy-efficient glass, these pieces are primarily known as energy-efficient for their role in low-e insulated window units. Why is Energy-Efficient Glass Beneficial? There are environmental benefits of energy-efficient glass, but another valuable benefit for business owners and homeowners is the cost-saving elements of these pieces. These glass pieces help to alleviate the high utility costs you may be experiencing as a result of your old, faulty windows that often hinder the ability of temperature control in your home. For owners, energy-efficient glass, available at Ryan’s All-Glass, is a great way to save money on utilities in both old homes and new. Energy-efficient glass options from Ryan’s All-Glass can help keep your home warm in the winter and cool in the summer, saving you money and paying for themselves over time. If you are building a new home or updating an old home, energy-efficient glass is a great way to help you save money and benefit the environment. We offer low-e insulated units that are a fantastic money saving glass replacement for your home. 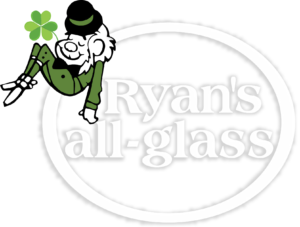 For more information on the offerings at Ryan’s All-Glass, give us a call at (513) 771-4440 or contact us online today. If you own a business, specifically a business that relies on foot traffic, having a good storefront window display is very important. If your business relies on eye-catching displays to bring in customers off of the street, having your products presented well is an important factor for your success. 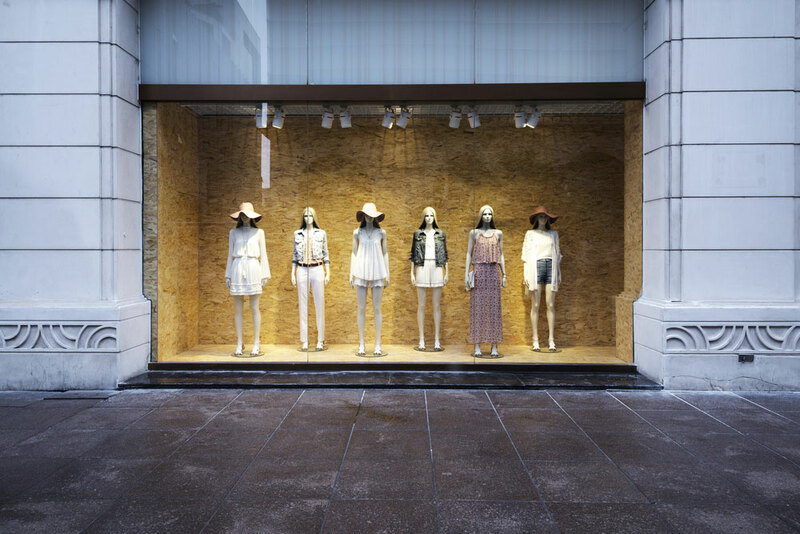 In today’s blog post, Ryan’s All-Glass will look at some key features of storefront windows to utilize in your business. The storefront window is your company’s first impression. Remember, you don’t get a second chance at a first impression! A well maintained storefront has a dual function as an inviting aspect as well as helping mining energy efficiencies in the building. It’s also important that your windows are regularly examined and maintained. While the items that you have displayed inside your storefront windows are important, the window itself is an important design feature. Windows can become fogged or damaged, especially as they are exposed to the elements all year-round. Foggy windows are unattractive and also look unprofessional. Keeping your storefront windows maintained is very important for improving your walk-in traffic. While the other factors on this list are important, finding the most efficient glazing solution for your building is is arguably the most important factor in having the perfect storefront display. At Ryan’s All-Glass, we offer a variety of storefront framing options that will work perfectly for your business. We can customize these windows to fit your business perfectly and offer the highest quality custom glass features. If you are looking for the perfect storefront display, Ryan’s All-Glass has a number of different custom glass options that are the right fit for your business. For more information on these options, give us a call at (513) 771-4440 or contact us online today. If you are looking for a feature to take your kitchen or bathroom to the next level, back painted glass is a great solution. Most notably found in kitchens, back painted glass backsplashes give your kitchen an elegant touch that is found in few other features. There are a variety of custom glass features that can liven up your home, but few will do it as well as back painted glass. In today’s blog, Ryan’s All-Glass will look at three major benefits of back painted glass. The most obvious benefit of a backsplash is the design aspect. There are few design elements more elegant and subtle than a backsplash. Depending on the color of your kitchen or bathroom, back painted glass can bring out the colors of the room brilliantly, in a way that no other feature can. The Ryan’s All-Glass selection of backsplashes is among the best in the area, with professional customization options to make it a perfect fit for your home. You can choose from a number of different colors at Ryan’s All-Glass to give your kitchen or bathroom a luxurious custom glass style. Another benefit of back painted glass is the ease that comes with the installation. Many custom glass features are difficult to install. For example, installing a custom shower enclosure can be a lengthy process. However, backsplashes are often short and sweet when it comes to installation. The ease of installation makes this custom glass feature a great bang for your buck as well as a fantastic design feature in your home. Everybody loves versatility and few custom glass features are as versatile as custom backsplashes. With so many customization options, you can find the back painted glass solution that is perfect for your home without having to spend valuable time and energy looking for the right option. At Ryan’s All-Glass, we can walk with you every step of the way to find the right option for your home. If you are looking for the perfect custom glass addition to your kitchen, Ryan’s All-Glass has the answer. For more information, give us a call at (513) 771-4440 or contact us online today. Why Do Shower Doors Matter? Why Are Shower Doors Important? When it comes to modern bathroom design, few things are as important as the shower door. And they aren’t just important because of the stylish design value they provide. Along with their aesthetic quality, they also serve a very practical function and are beneficial for things like your home value and sustainability. Today, Ryan’s All-Glass will explain why shower doors are important. Shower doors are also important because they increase the value of your home. While potential buyers might look at your yard or the kitchen before they look at the bathroom, there are few rooms that are more frustrating to renovate than the bathroom. A bad shower door and shower enclosure is a quick way to turn potential home buyers away. Nobody wants to buy a home that immediately requires renovations, and a badly designed shower requires exactly that. Your shower can be the most difficult feature of your home to keep up to date and up to code. Mold can easily begin to sneak in if your shower isn’t taken care of correctly and with a damaged shower door, your shower can turn into a hazard. At the end of the day, you want your shower to be aesthetically appealing and built to last. Investing in a high-quality door will keep your shower sustainable, preventing you from spending big dollars on shower repairs. If you are looking for the perfect shower door for your bathroom, Ryan’s All-Glass has the answer. Picking the right shower enclosure and door is a big decision for your home, so you will want the experts helping you. For more information on what we have to offer, give us a call at (513) 771-4440 or contact us online today. Replacing sections in a custom glass design can be difficult, but the right maintenance steps can help you avoid this problem entirely. At Ryan’s All-Glass, we are dedicated to providing the best service and the best advice for our customers. In today’s blog from Ryan’s All-Glass, we discuss a few glass maintenance tips that can help avoid glass replacements and keep your custom glass features looking great. Ryan’s offers a special protective coating that seals the pores in the glass to prevent water staining and calcium build up. This coating has to be applied at the time of purchase to offer the best results. The most common reason why mirrors or glass features don’t last as long as they should is because they aren’t cleaned properly. Using a squeegee after every shower as well as regular cleaning any other glass features can cause them to deteriorate and look old and cloudy. However, this is a completely avoidable problem! Use a clean microfiber cloth and gentle cleansing solution to remove dirt, dust and oils from your glass. Ryan’s all-glass sells a great glass cleaner, if you are on the hunt for the right product. This will keep your glass in the best shape possible and help you avoid glass replacement down the road. If you have damaged glass, you might not know whether or not you can repair it yourself or whether you need professional help. It can also be difficult to tell if you need a total glass replacement without the help of professionals like the Ryan’s all-glass team. Before seeking a total replacement or attempting a do-it-yourself repair, consult with a glass repair service provider like Ryan’s all-glass. If you are looking for glass repair or glass replacement, Ryan’s All-Glass has your solution. For more information on what we offer, give us a call at (513) 771-4440 or contact us online today. If you are planning to renovate your bathroom, custom glass options are a great feature to consider for your design. Whether you want to add style to your vanity or update your shower design, custom glass features will always be among the best options. In today’s blog, Ryan’s All-Glass will discuss perfect custom glass features for your bathroom project. When it comes to custom glass products for your bathroom, the mirror is a great place to start. While there are other glass features in a bathroom, few are used as often as the mirror. A custom glass mirror provides a stylish focal point for the space, adding remarkable depth and beauty. At Ryan’s All-Glass, we offer custom cutting for unique mirror designs, so you can create the perfect style for your perfect bathroom. While mirrors are the best place to begin when choosing custom glass features for a bathroom, a glass shower has the potential to be a more beautiful addition — especially if your current design employs a plastic shower curtain. A glass shower enclosure opens up the space and will improve the overall design of the room. If you want to take your style a step further, you can choose a frameless glass shower design, which is a completely glass shower enclosure requiring no metal or plastic frames. While new custom glass features are a great addition to the style of your bathroom, your current glass pieces might just need some improvements or repairs. At Ryan’s All-Glass, we can repair all of the glass elements in your bathroom, from cracked mirrors to fogged windows. Whatever glass repair needs you may have, the experts at Ryan’s All-Glass are prepared to make your bathroom look good as new. If you are looking to renovate your bathroom, custom glass features are a great way to improve the overall design and quality. For more information on what Ryan’s All-Glass has to offer, give us a call at (513) 771-4440 or contact us online today.